That’s what the Board is prepping for. See here and here for the background. There are a few names of current HISD people mentioned in the story as well as possible candidates, but none of them appeared to be obvious frontrunners. For all its challenges – indeed, because of all its challenges – the HISD job is going to be attractive to a lot of candidates. It’s a big and diverse district, with a lot of resources even in tight budgetary times, and the opportunity is there to leave a mark and establish oneself as a visionary leader. Carranza’s departure is ill-timed for HISD, but the fact that he got poached by the New York school district shows that he was held in high regard, which will be a plus for everyone who might consider following him. We should see some talented applicants come forward for this position. We just need to pick the right one. 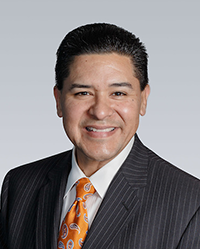 Carranza being poached was a great deal for HISD. He was utterly clueless on dealing with the district and it’s various issues. As for board members being more cohesive, I haven’t seen that. Mostly it’s lots of complaining by trustees like Jolanda Jones, and very little in cohesive, constructive, ideas. Jones was instrumental in getting the $ 2M school name changes done. Show some respect. Photo shopped photo of Carranza. Unfortunately, he was not committed to Houston or the HISD students.